The foundation is the key component responsible for keeping a building strong and in proper shape. In fact, the credibility of the entire structure is mainly based on how the foundation is constructed and, also the materials used in the process. If the foundation is leaking, cracked or experiencing other problems, there are higher chances the whole structure will begin to deteriorate. Whenever these hitches are spotted, it is always advisable to immediately acquire foundation repair and waterproofing services. Waterproofing Singapore are the experts in foundation repair and waterproofing that you can always count on for the ultimate fix. Our company has a team of waterproofing specialists who truly understand the most suitable approaches and materials for foundation waterproofing. Over the years, we have helped many home owners and commercial property with foundation repair and waterproofing. Through our experience on the job, we are able to effectively diagnose foundation problems and deliver lasting solutions. There are several elements that can cause destruction to the foundation of your building and, it is advisable that you also know about them when seeking foundation repair and waterproofing services. Water is one of the main causes, which will not only damage the foundation but, could also extend to other structural components as well as your belongings in the house. If the foundation of the structure is not properly waterproofed, water from the ground can easily find its way up to the basement. As water rises upwards, it creates a strong force that could also impact cracks on the foundation. In case these cracks are not fixed on time, they can quickly develop, leaving more passage for moisture to build up along the foundation walls. This in return, will impact dampness, giving room for the formation of molds and fungus. Besides, the cracks and moisture build-up will also weaken the foundation and entire structure, making the building to deteriorate quickly. In worse cases, cracks could even make the structure to collapse, impacting huge losses. Other problems that can also compromise the credibility of your building’s foundation include, clogged drainage systems, poor backfilling during construction, movement of the walls of the foundation among others. But, why take all these risks when you can simply get the ultimate solutions with our foundation repair and waterproofing services? A good foundation should always remain dry and, without any cracks in order to deliver better support for the whole building. Whenever you realize dampness or signs of cracks around the foundation and in the basement, there is always a high chance the foundation is not in proper condition. Instead of waiting to see how it goes, immediately talk to us for a thorough inspection and effective solutions. Our company will send a team of experts to your home or business premises for an inspection to ascertain the problem, its causes and extent of damage. We always recommend thorough inspection since there are several cases whereby all the problems may not be clearly visible from the outside or even inside the building. Through the inspection, we will be able to properly diagnose all the problems experienced in the foundation of your building so as to determine an ideal solution. To us, every problem is unique and requires a tailor made approach to fix. We always conduct foundation repair and waterproofing depending on the particular problems being experienced. Before we begin the repair procedures, we will also take into account the type of foundation for your structure. There are various approaches that we can pursue in conducting foundation repair including, crack injections. This is mainly applied to seal off cracks on concrete foundations. However, we also have other techniques for sealing cracks on foundations made from bricks, cinder blocks or stones. 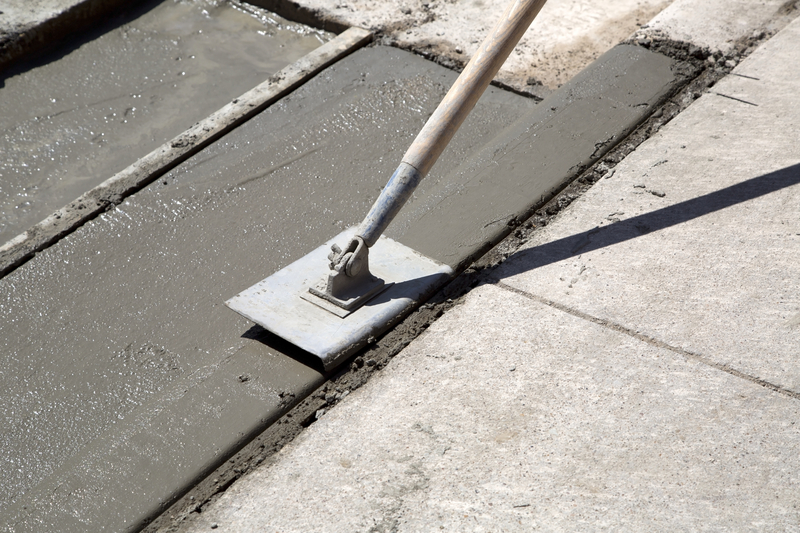 Our company has a variety of tested and proven materials for conducting repairs on foundations. Thus, we will only choose the most suitable one for your project. In case the foundation is leaking, we can also integrate various waterproofing products and techniques to deliver the best results. Some of the key waterproofing materials that we use on foundations include, bentonite, bitumen, waterproof paints, sealants, rubber and cementitious waterproofing. For lasting foundation waterproofing solutions, we also have quality foundation waterproofing membrane. Depending on the cause of the hitch and extent of damage, our experts can suggest and perform either interior or exterior excavation waterproofing. Even if the foundation repair and waterproofing is done under your watch, it is not usually very easy to know if the problem has been resolved immediately. Therefore, our company can also visit after some time to conduct another inspection on the areas that were fixed in order to make sure that all the hitches have been successfully eliminated. In case a problem is realized during this process, we will still offer the best measures so you are never bothered with foundation repair and waterproofing anymore. If the foundation of your building is not properly waterproofed during its construction, you can expect problems on this part of the structure to keep recurring. As such, we always recommend that whenever you are planning to construct a new home or business property, you should always let us perform waterproofing before the completion of the project. This will not only save you from higher costs of maintenance but, also keep the structure strong and in perfect shape for a longer period of time. Without wasting too much time thinking of what to do, get in touch with us for a free foundation repair and waterproofing estimate. You can also know more about the typical cost of foundation repair by reading our blog article.